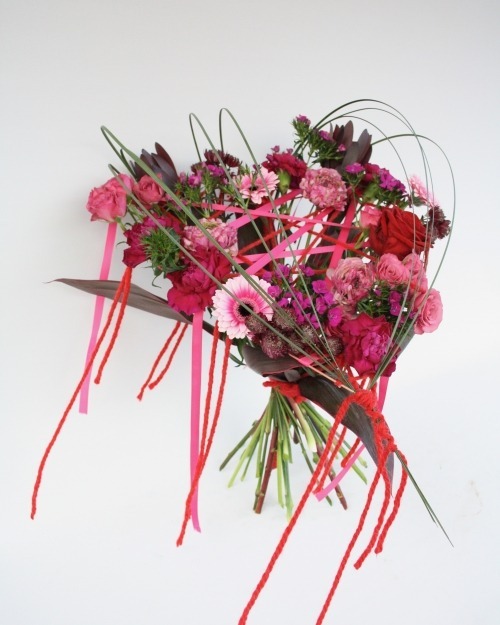 A hand woven wire, wool and ribbon heart framework outlined with heart-beats-faster flowers in romantic shades of reds and pinks. 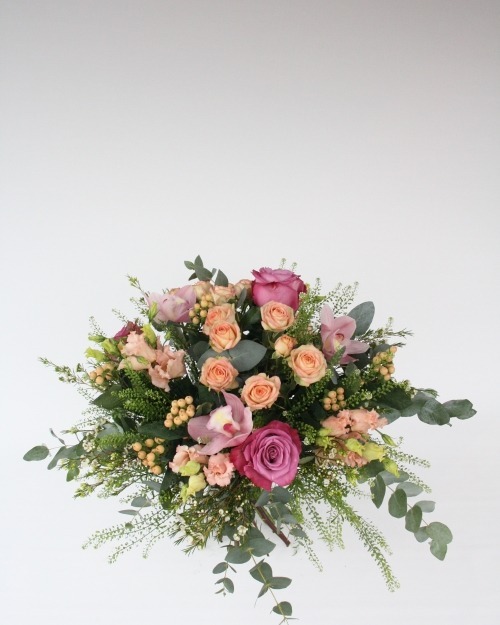 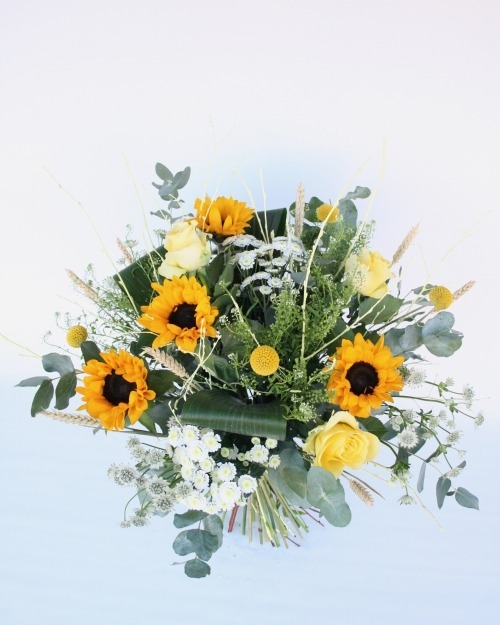 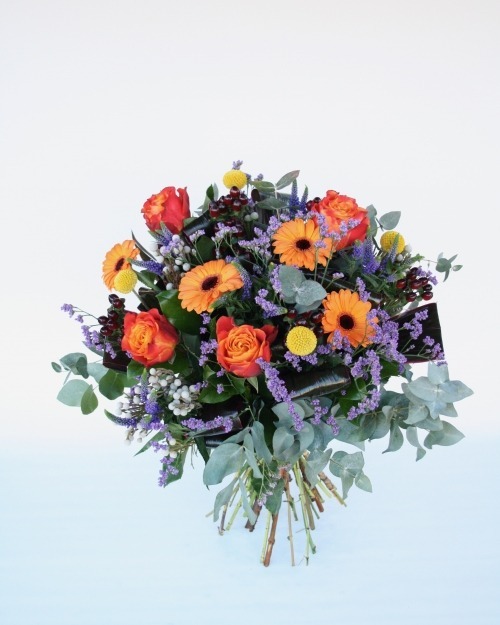 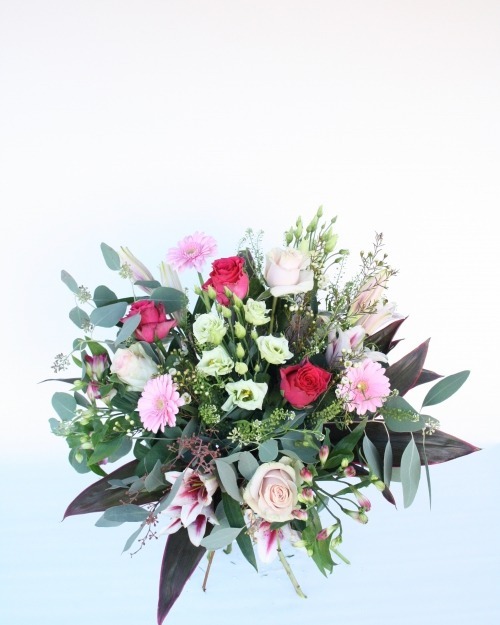 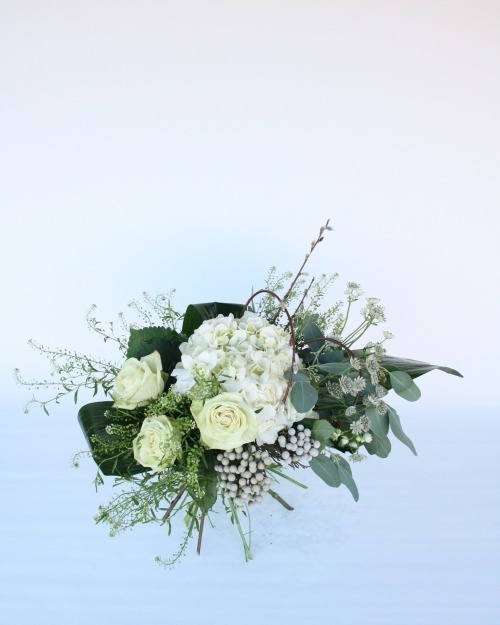 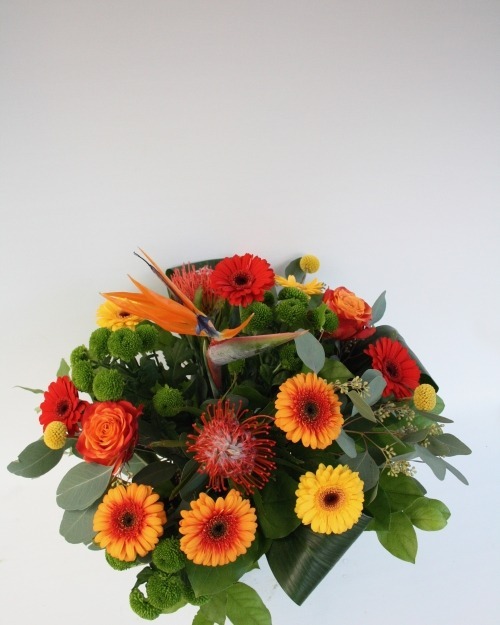 Hand tied and ready to place in a vase, this design is not for the faint-hearted. 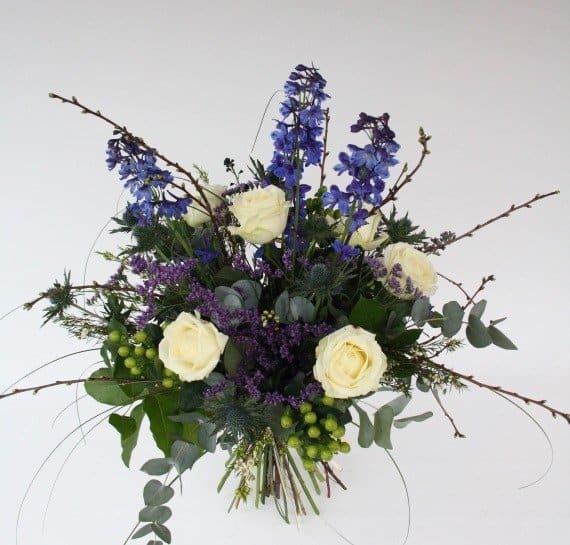 Our Scottish-themed hand tie is one of our best sellers, featuring a motley horde of wild purples and blues, spiky thistles and fresh whites. 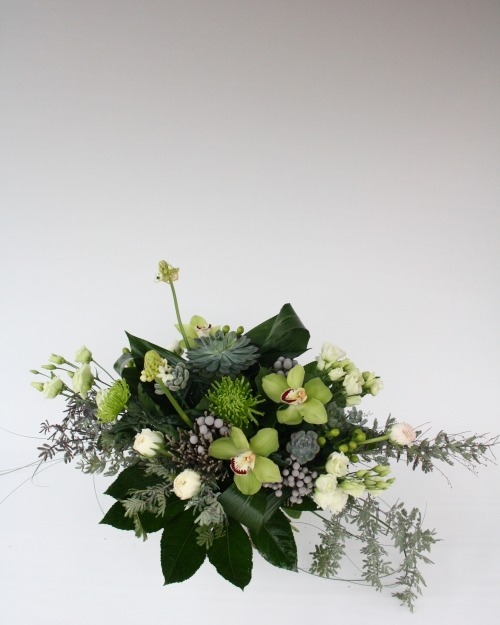 The contents may change with the seasons but it is always Wild at Heart.